When we think of WMS (Industries) the company always feels like a ‘trending’ company. By this we mean that they are always moving at pace with the industry and trying new games, new software and new innovations. The history of the company would actually be a far cry from trending, especially since they date back as far as 1943. They are based out of Nevada and the group have been designing casino games for more years than most of us reading this have been on this planet. The modern day formula is one that is serving them pretty well and their casino games are currently available via a mixture of instant play options and mobile developments. Even though the company have been based out Las Vegas for decades now, they don’t actually operate with any US based casino and instead apply the majority of their resources to the European gaming market, collaborating with casinos such as Guts, LeoVegas, Coral, Gala, and Mr Green. The company are fairly exclusive in terms of the games that are on offer. You will be able to access a little under 100 slots and that’s pretty much it, but whilst the numbers are low, the quality of games is very high, so don’t be put off by the numbers. The first thing to note is that WMS have a number of branded titles on site. Their biggest coup has probably come in the form of the Star Trek series, of which they created 5 different games. In fact, this series is widely thought to be one of the most popular groups of slots that the industry has ever seen. Each game has been beautifully designed and with each installment, WMS have added new technologies, which have transformed how each game has plays out. Aside from that, the games on offer all work very differently to each other, especially when it comes to the features that are employed. 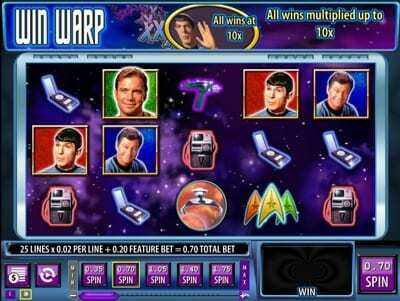 Some that stood out for us were the Reel Slots games, which allow users to play up to 15 reels in one game throughout dedicated bonus and feature rounds. We can’t say for sure, but we think this is the most of any game in the industry right now. One of the biggest selling points for WMS is their dedication to progressive jackpot games. The range of games is extensive and includes the likes of Men In Black, Monopoly, The Wizard of Oz, Star Trek and The Lord of the Rings. 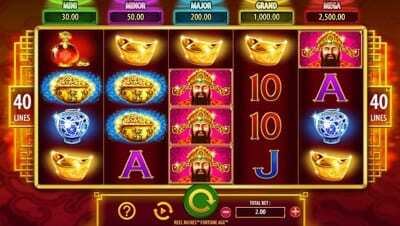 As you will notice, these games are all branded titles and this is something that would make them popular in their own right, but combining them with progressive jackpots is a really smart move, and this makes them some of the most popular games in the industry. The company itself was formed in 1943, but the WMS Gaming brand that we know today didn’t get its big moment until 1991 when the company decided to branch off part of the company in an attempt to keep up with new technologies within the industry. At this point WMS were still killing it in the pinball and land-based casino games sectors. 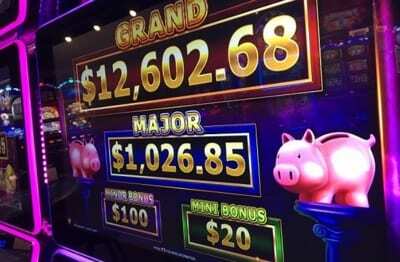 In fact, it was reported that there were more WMS slots in Las Vegas than any other brand, which is a staggering feat when you consider the vast number of casinos that are operating there. Probably one of the most interesting facts about the company is that they didn’t develop a single online game until 2010. This seems like a huge amount of time for a company of their stature, but it really does drive home just how successful their over ventures have become given that the ‘boom’ years of online gaming had passed by this point. In that time WMS decided to provide a range of social media games that could be played on platforms such as Facebook, which they had great success with, but it was online casino games, and especially slots, where the company was heading for the years to come. The company was bought out in 2013 by Scientific Games in a merger believed to be worth in the region of $1.5 billion, paying out $26 per share to its shareholders. WMS now work as part of the Scientific Games group, offering up their services in both slots and progressive jackpot games.